Lab-Mix, the ideal Laboratory Mixer. 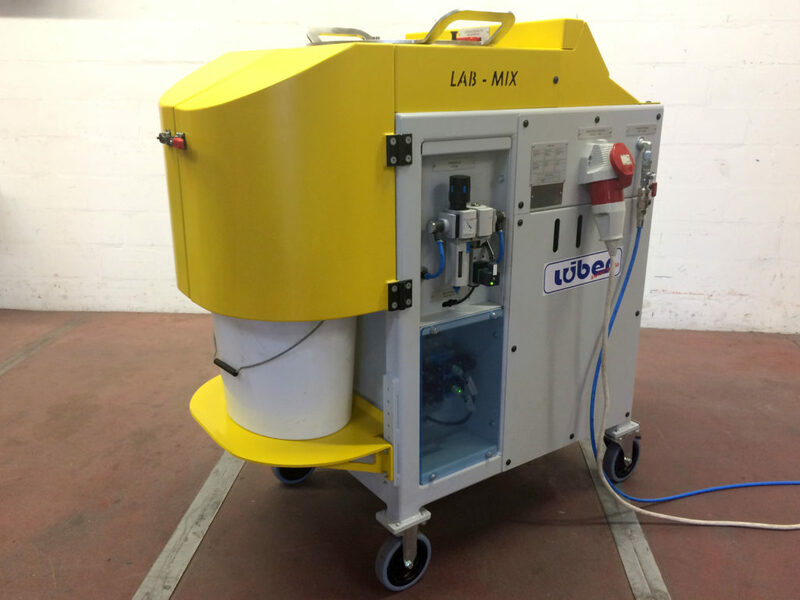 The Lüber GmbH Lab-Mix is the ideal solution if you require a small laboratory mixer. 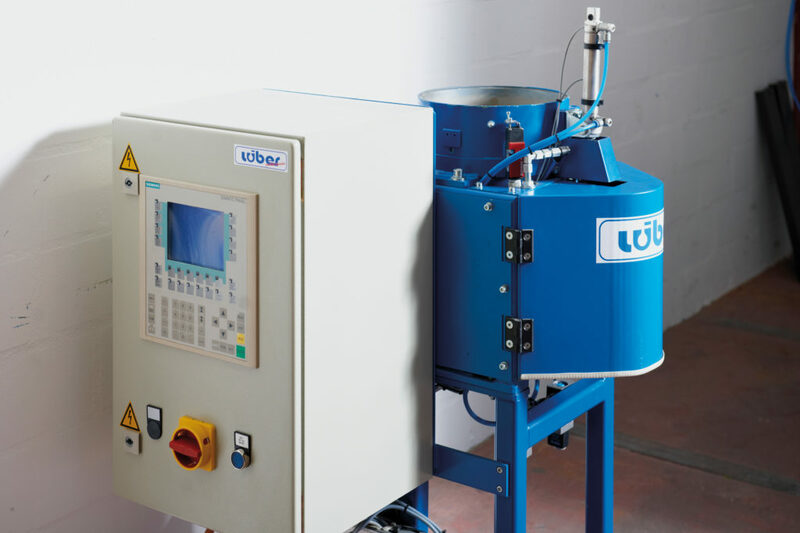 In spite of its compact built, the Lab-Mix offers all the benefits of our standard mixer in a Lüber GmbH core sand preparation plant. 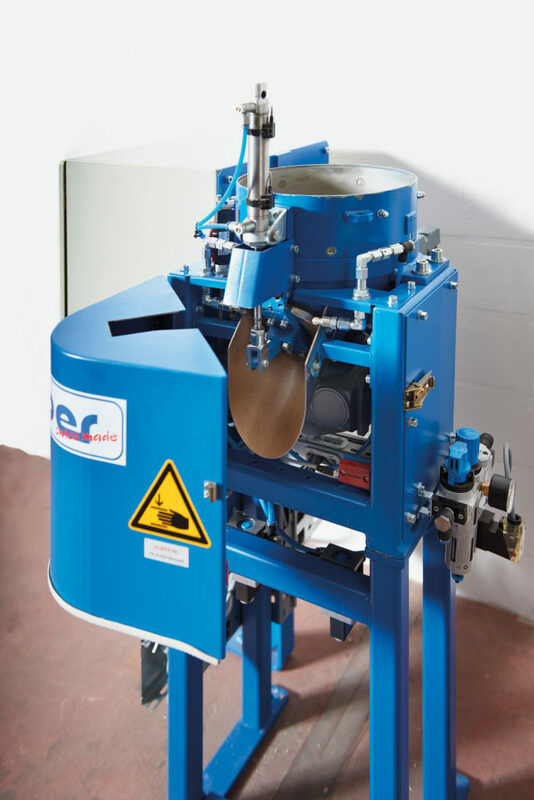 This includes features such as an automatic cleaning function after a mixing process. This mixer can be used to produce mixes of up to five kilograms in weight. Our Lab-Mix is available with two types of controls. Compared to conventional controls, our version including PCL controls provides operators with the highest ease of use. The clear entry mask of the laboratory mixer operating panel allows for individual settings. Lab-Jet, specifically for Laboratory Use. The Lüber GmbH offers laboratory gas generators for specimen sample production. 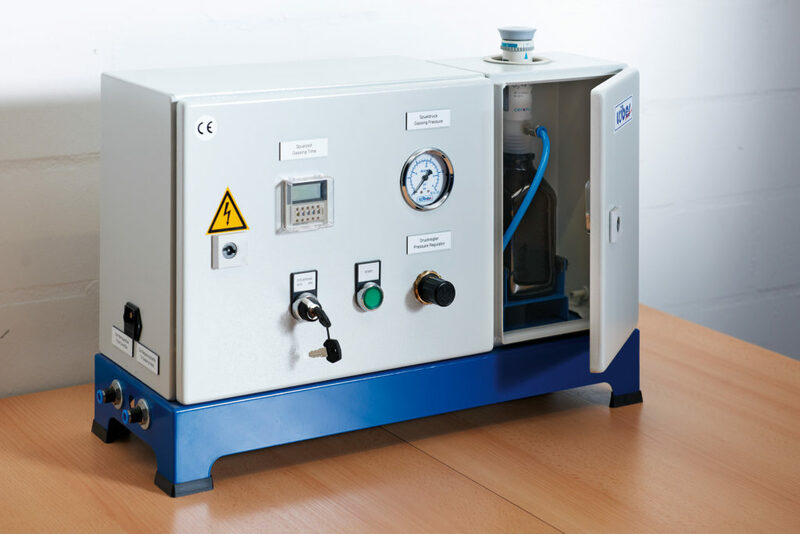 Our compact and space-saving Lab-Jet laboratory gas generator was developed particularly for use in laboratories. Specimen samples are required for the purpose of core sand checks, which can easily be cured using this device. Simply set the required amount of amine at the dispenser, plus the purge pressure and purge time. To start, the amine is manually dosed. The gas generation and purge processes will finish after the set time. Our Lab-Jet is fitted with a bottle storage container for the amine, with a maximum capacity of 500 millilitres and a filler neck provided at the dispenser for re-filling.